Makeup and beauty !!! : My First Sunshine award ! My First Sunshine award ! 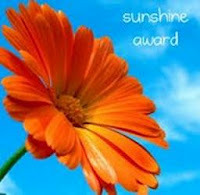 I recently got 2 sunshine awards from my two sweet friends Demi mist And Shilpa Gandotra.Thank you for this lovely Appreciation award sweeties ! 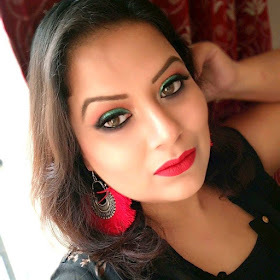 Everyone should check Demi mist and Shilpa's blog for their versatility. To be a good mother. 3. Who or what inspires you most in life? My positivity inspires me a lot in my life. 4. Would your rather donate time or money? i would like to be eye as i want to see this world in my own way. To share my personal experience with all the stuffs that i love. my mom is my hero.she inspires me to be positive in life ! 10. If you could be anything or anyone in the world,what would it be and why? If i could be anything or anyone in the world then that would be "ME" and i am happy to be what i am today. Now I pass on this award to my fellow bloggers. 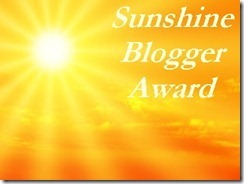 Please note the rules below and pass on this award to other bloggers whom you feel deserve the Sunshine! 1. Include award logo in a post or on your blog page. 2. Answer (10) questions about yourself. 3. Nominate 10-12 other fabulous bloggers. 4. Link your nominees to the post and comment on their blog, letting them know about the award. 5. Share the love and link the person who nominated you. 6. Leave a link with your answers in comment section.